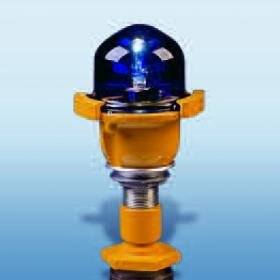 ZA216 - Taxiway Edge Light - ATG Airports - Description - Taxiway/apron/helipad edge light or low intensity runway edge light. Suitable for use in 6.6A airfield lighting circuits normally supplied from 1 x 45W isolating transformer. Power consumption varies between 30W and 45W depending upon type of lamp used.